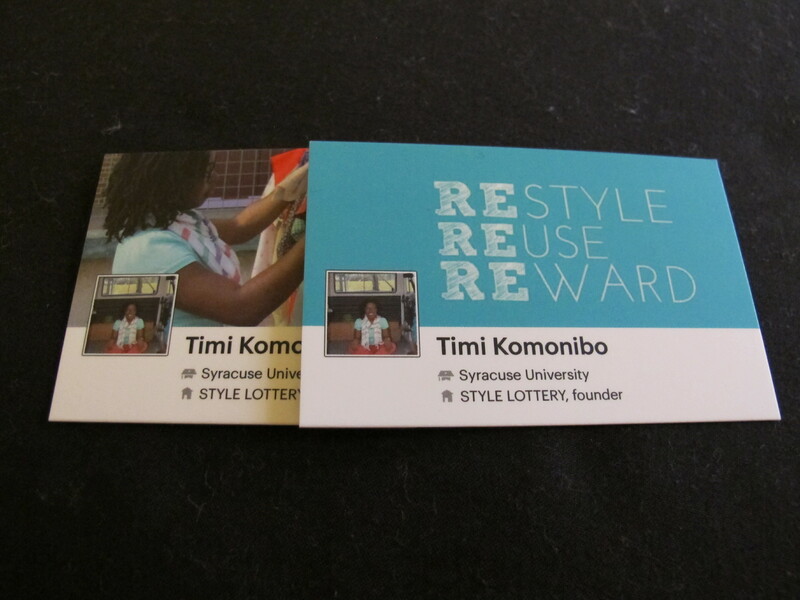 Style Lottery Business Cards Are In! 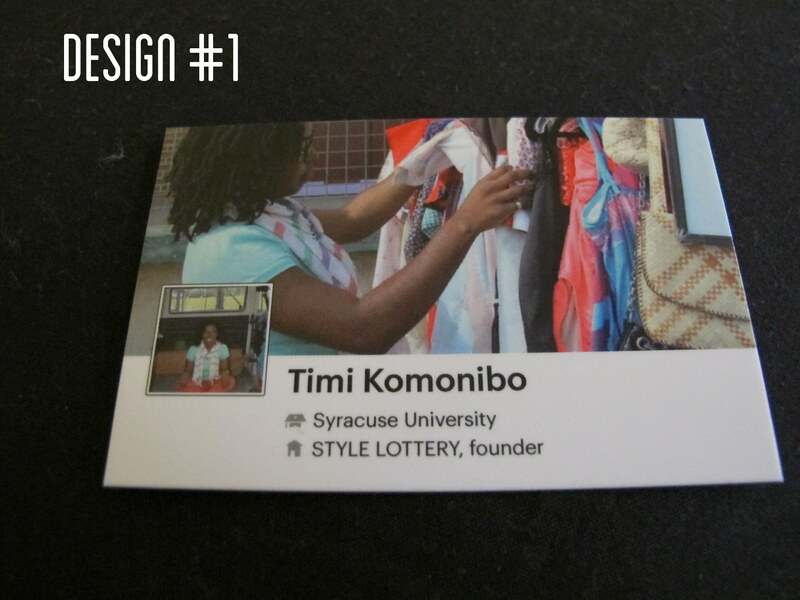 A couple weeks ago, I stumbled upon an awesome business card promotional on moo.com. 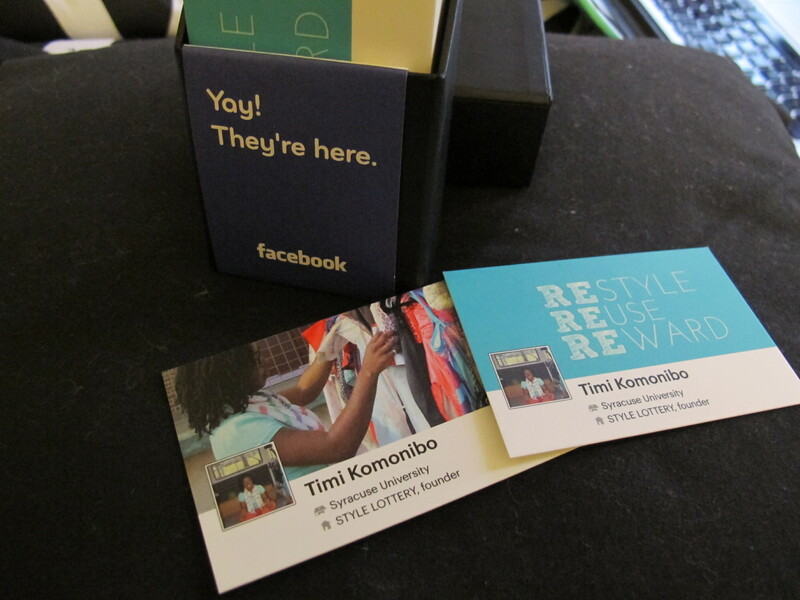 Moo.com is (for a limited time) giving away 50 free Facebook business cards. These Facebook cards were easy to create— actually Moo.com automatically generates them for you by choosing your profile and your cover pictures. Then it takes you to a page were you can tweak the design a little bit. 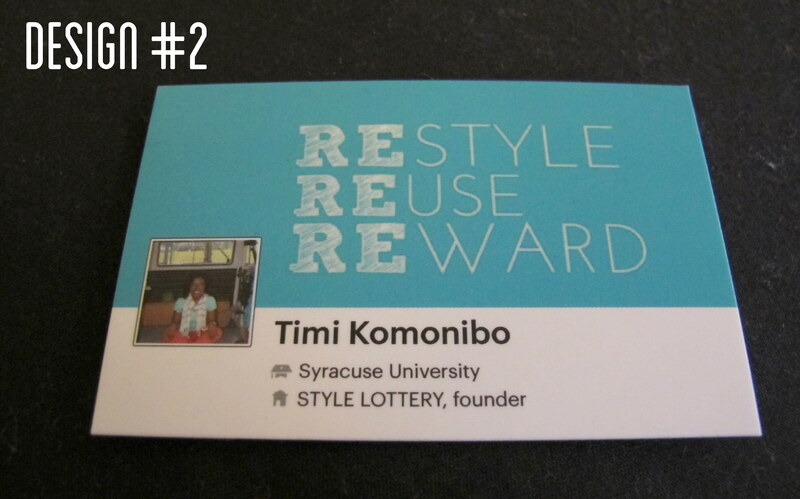 And because of their prinfitity technology, you can make the business cards with multiple designs on the front. I chose two to keep things simple. I stuck with only 2 designs, so in a pack of 50, I got 25 cards in each design! 50 business cards, free of charge! I love it! 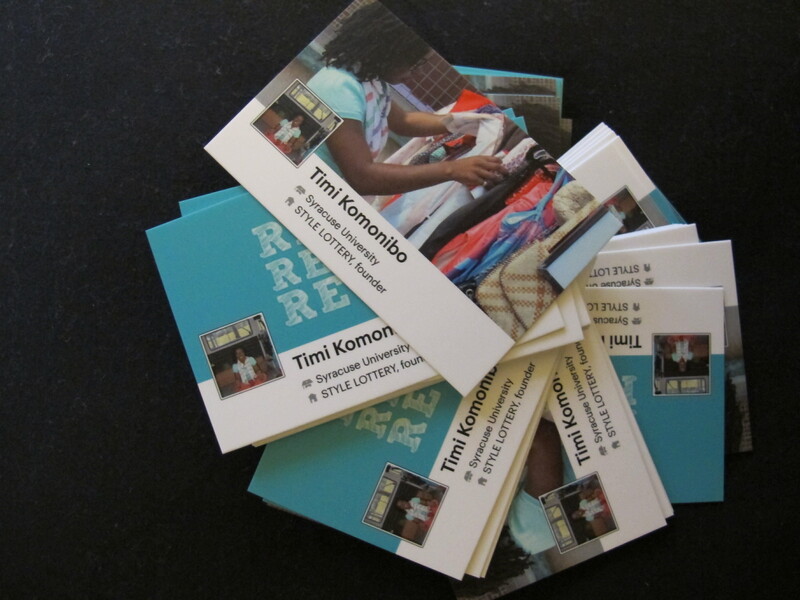 All of my personal business cards have come from Moo.com. I trust their quality and I really like the design options. I’m always surprised by how quickly I receive the cards in the mail. I’m not sure how long these awesome cards will be free, but I encourage you to get them while you can (and while they’re still free). Even if they end up being just a conversation starter, these are a great (and inexpensive) way to make a good first impression.